Bibliography: Loys Delteil 5 ii/iii; Melot 5 ii/iii. 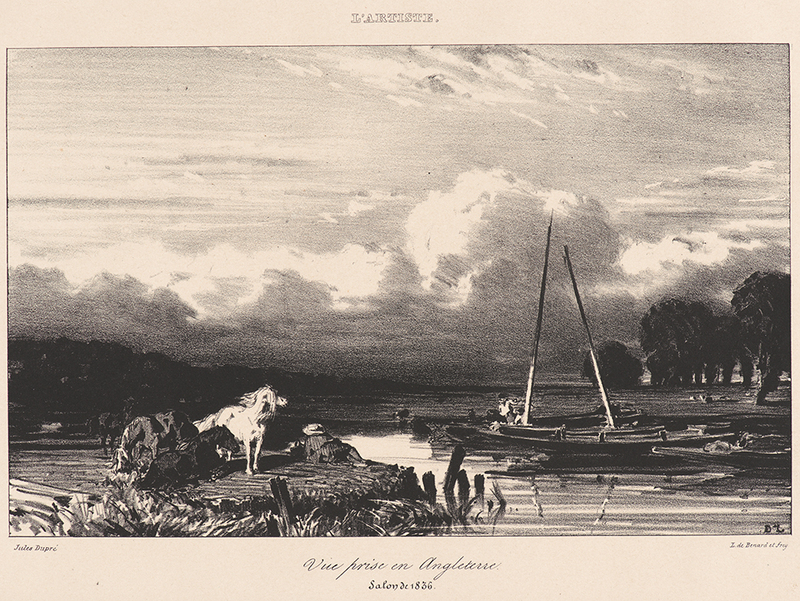 View in England (Vue prise en Angleterre), . Lithograph on wove paper. Second of three states, with letters. Image: 130 x 207 mm (5.1 x 8.1 in.). Sheet: 216 x 286 mm (8.5 x 11.3 in.). DAC accession number 1961.31.5. Purchase funds, 1961. Open Access Image from the Davison Art Center, Wesleyan University (photo: M. Johnston). http://dac-collection.wesleyan.edu/obj5091 is a persistent link to this page with no user-session information.